I won't just pitch any product. Plus, click below for a chance at a Kindle!! I am absolutely in love with this product and I'm a pretty tough customer. If it tells me it's going to relieve pain; it better do just that. I don't take many prisoners and I don't give second chances. I've thrown out more "crapola" products trying to find something that will minimize the pain. Most of it sits on top of the skin and tingles for a few minutes and then that's the end of it. I was surfing to find products to help with the pain and I just happened to stumble upon this site. Because I'll try anything at this point I figured....."hey, what the heck?" Best move I've made in awhile. 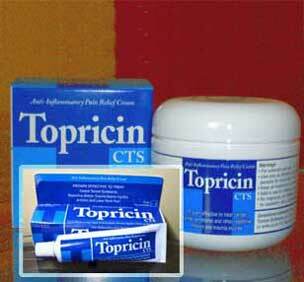 Topricin is a topical cream that features a soothing combination of homeopathic biomedicines that really treats pain. They have a patent for the pain of Fibromyalgia and neuropathy. A lot of products have menthol and camphor and you think it's working because of the smell. This product doesn't mask the pain. Plus, there are no side effects! So I heard from the company and they are having a promotion to win a Kindle!! I'm real excited about that one!! Just click on the link and enter your address and you'll be entered in the contest PLUS you'll get a sample!!!!! I just entered and orderd some samples. I am a sucker for all things that claim to relieve pain! I am excited to try it! Maybe it's because I'm depressed, but I can't figure out how to enter. Do you purchase the cream? If you feel up to offering me a suggestion I would like that. I'd like to buy this for my mom. I also want a Kindle really bad! I have a bit of a gift for you. I know these blogging "gifts" sometimes require more than we who are sick can do, but I thought it was fun. So, I hope you do too. I'm getting ready to post it, so if you will check by my blog today, you should see your blog's name as one of the recipients. Thank you for this post. I bookmarked the page so I might can enter when I am in a better frame of mind. Thanks too for the comment about Jack. I actually have had a hard time with that. I do not I like experimenting because I have already many things why hydrocodone volume which is what gave me the doctor and relief the pain I feel. I totally understand about experimenting. I am also on oxycodone and use that for my primary pain relief. I use this in conjunction with the protocol from my pain management doctor. Thanks Jessica! I love it! I use it along with the other pain medications and it really seems to help! Hi Rose. I was reading your other post and saw my comment. Do you know why #39's is all over my words? This number is attached to my blog and I don't know why. How odd. I've had that too and I think it has something to do with contractions???? I'm not sure but that it seems that has something to do with it. I don't know why. Weird huh??? Grateful for contribute to such information I’ll pass it on to my friends.